Andy Biggart and I have been best friends since we were too young to remember. Andy would do anything for anyone, no matter what, no questions asked. Andy’s family finally learned what happened the next afternoon. He’d been through a 7-hour surgery to save his life and his badly broken right leg. 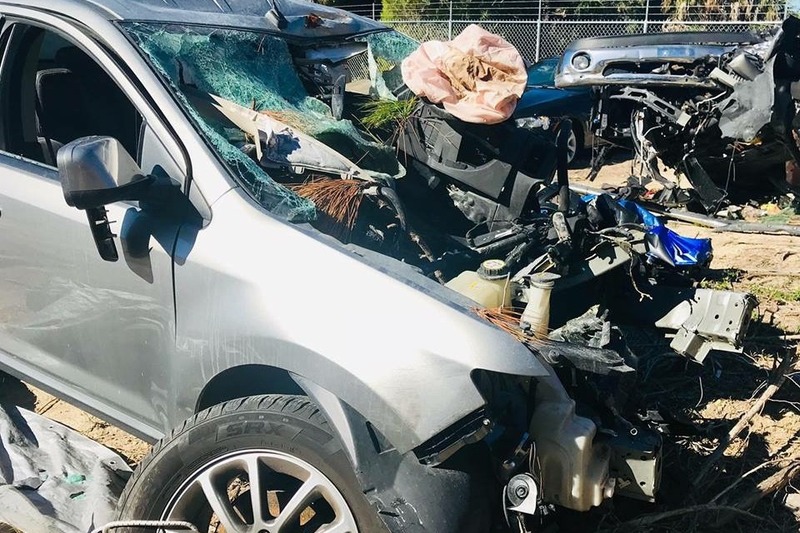 He suffered multiple leg fractures, broken ribs and clavicle, burns on his arms, legs, and hands, and several other injuries. The surgeons considered amputating his right leg but were able to reestablish blood flow. Andy is strong and continues to fight for his life. He is scheduled to undergo numerous surgeries to repair fractures and other injuries. His surgeons say these procedures will go on for months. If all goes well, he will be in rehabilitation for about a year with a chance to heal, recover, and return to something close to the life he knew. Andy’s family and friends are more important to him than anything in the world. He is a guy who loves unconditionally and is always there when he’s needed. Right now, he needs our help more than anything. His fight is physical and emotional. The recovery will be long, painful, demanding, and exhausting. The costs for him will be overwhelming. Please help Andy in any way you can (no gift is too small) as he embarks on a long journey to recovery. Feel free to share this on your own social media if you feel it will reach more of Andy's friends and other giving hearts. If you cannot donate, Andy and his family will appreciate any prayers and good thoughts you can give towards his healing. When we first saw Andy, his wrist band had his name as “Sage Doe.“ Somehow his identification had not followed him from the crash site to TGH. He was named Sage because in a day’s time, Tampa General has so many unidentified patients they have to run the alphabet. Andy was the 19th “Doe” that day. Later on it struck me as so incredibly sad, wondering how many families might not have had the chance to reach their loved one if only a finite amount of time was left for them to do so. When we met with one of the trauma surgeons, he told us Andy’s blood pressure was so critically low that he feared not having time to save him. But Andy held on. He was strong even in an unconscious state. Judging from the team’s initial assessments of Andy’s injuries, he said emergency exploratory surgery was mandatory. It amazed them all to find only minor damage, but even more astonishing was Andy had no brain injuries and no spinal injuries. To me, there is only one way to explain this and that is the Hand if God reached down to protect him. Miracle x 2! You all know the outcome of Andy’s decision to have the amputation. After giving his leg several days to heal, he would face his worst surgery yet. Because Andy’s vitals were the critical priority at the time of his initial surgery, the plastic surgeons were not able to properly treat the burns. Andy had to go back for a sixth or seventh operation for extensive skin grafting. But in just a day, in true Andy style, he was sitting up in the bed talking. He was continuing to be the poster child for how your mental and emotional state directly dictate your physical state. As I said previously, Andy and Matt have been best friends since birth. These two grew up together and both of them had two mamas. Matt flew in from Houston immediately to be with all of us, but especially to be with Andy. When Matt took his hand and spoke to him, Andy squeezed his hand. Before Matt flew home, he approached us about establishing a Recovery Assistance page for Andy on Facebook. 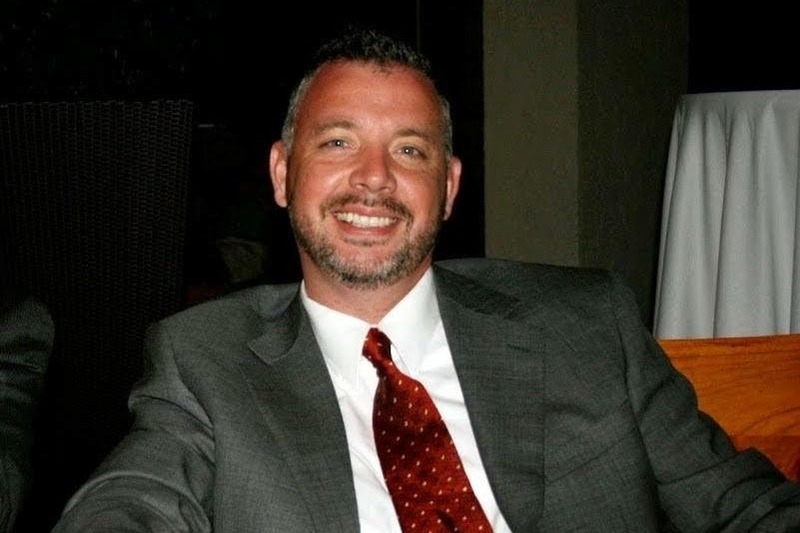 Matt knew Andy would not be able to work for some time and would be facing enormous hospital bills for the weeks at Tampa General Hospital in ICU, the burn unit, all of the surgical costs and his time in rehab. Andy and our entire family were ever so grateful to Matt and his wife Jacky for setting up the page, https://www.gofundme.com/andy-biggart039s-recovery-assistance. Andy’s healing has seem to be physically remarkable so far, but we all know there is still a lot ahead of him. 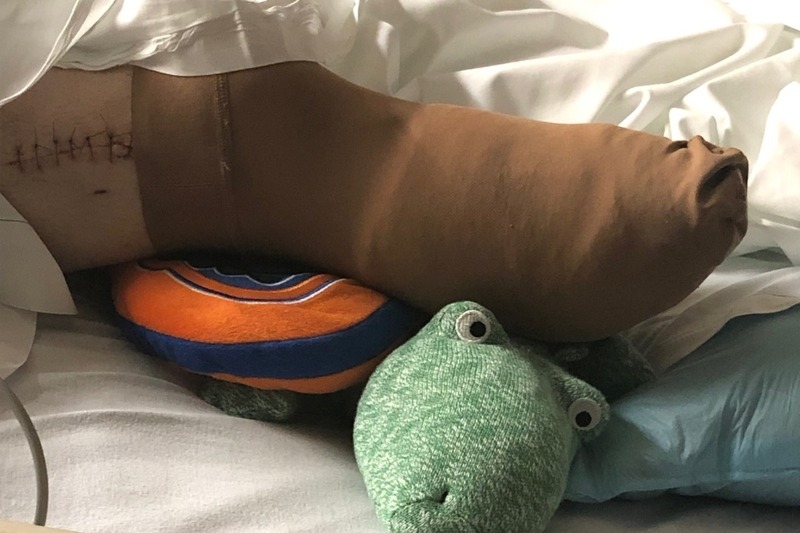 The physical therapy will not be easy and becoming proficient with his prosthetic leg will take some time before he can be back on his own. We are also ever so grateful to those of you who have so generously donated to help Andy with these medical bills. Thank you seems rather lame right now, but please know it comes with an enormous amount of love and appreciation. His spirits remain high and his determination get stronger every day, so on this beautiful new day of our New Year which holds such promise, we thank you again from the depth of our souls. You all continue to be an incredible blessing to us and I consider you one of Andy’s many miracles. He knows he’s not going through this alone. Love and God’s blessing to each of you from the very grateful Biggart/Reese/Stoops family. WISHING YOU A VERY HAPPY AND BLESSED 2019! 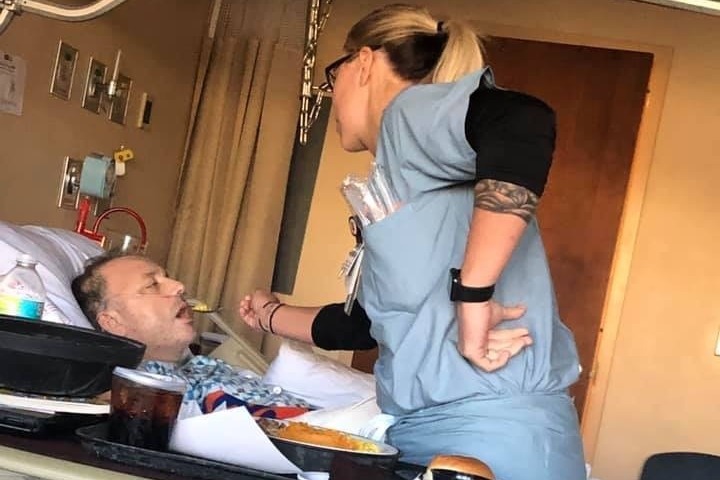 Andy has been transferred to Encompass Health and is progressing extremely well with his OT and PT so hopefully he will be able to come home in a few days. He has started doing his own posts and I’m delighted he will be keeping you updated. Reading Andy’s progress in his voice is guaranteed to make you smile. 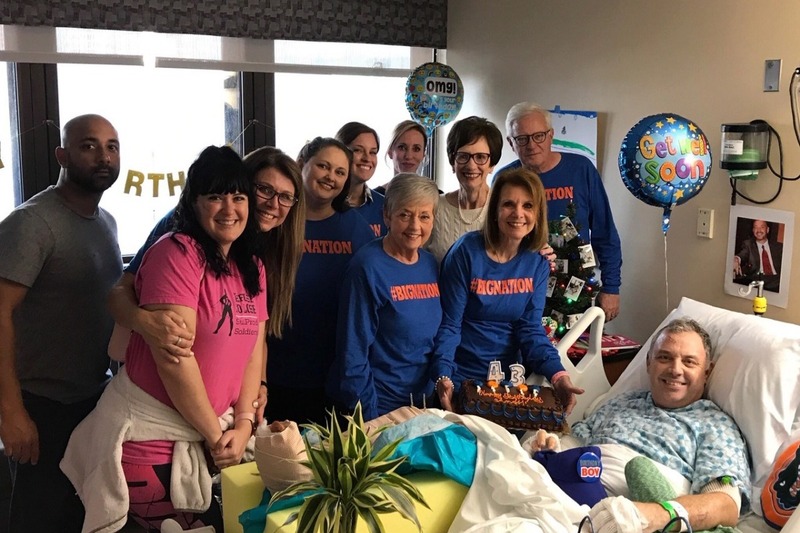 As I started this post it turned into a cathartic flood of words that became too large to post at once so this is Part I of the mosaic of miracles I have pieced together to show how incredibly miraculous his survival truly is. 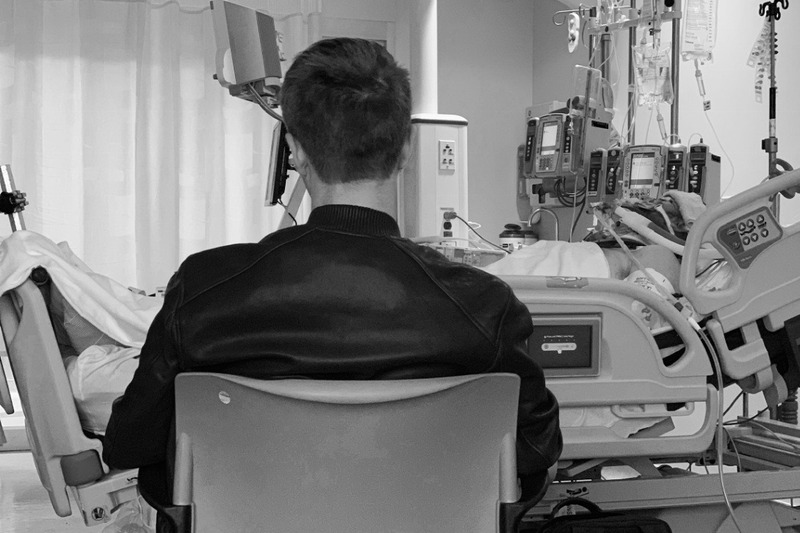 There are pictures that are part of Andy’s story that we can look at and share now because they evoke feelings of thankfulness rather than the horror and pain that was once there. Most of you have followed the updates, so please forgive me when I repeat myself as I really can’t remember all of what I wrote during those difficult days. But today is a new day and we start this year with more gratitude in our hearts than I can ever express. Those of you who saw the Bay News 9 report already know Andy beat all odds that day. His survival of the impact alone was our first miracle. I never wanted to see this video. In fact, Tim and our other children told me emphatically not to watch it. I never planned to, but as we sat in the OR waiting room, it came on the news again several days after it occurred. I gasped loudly, but watched the broadcast. I thought I would be totally devastated, but in an unexplainable way it made me more thankful and more grateful than ever to see what he actually survived. There really is no way I can explain it except through Divine Intervention. You know the story of the fisherman at Gulf Coast Marina who were there only because the weather was unfit to take the boats out. A once or twice a year occurrence, but it miracously happened that day. The fact that a young lady upstairs saw Andy‘s car hit the trees and ran downstairs screaming for the men to grab the fire extinguishers and follow her was another miracle. There were multiple fire extinguishers available and in just seconds almost a score of able-bodied men got to Andy, broke the window and got his head out before he succumbed to smoke inhalation. One man risk his own life by crawling under the car to keep the flames from reaching the gas tank. Another guy was putting out the fire at Andy’s feet while fanning his face so he wouldn’t inhale the dry chemicals. 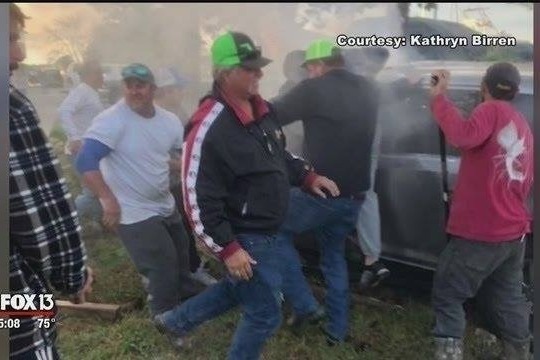 Several adrenaline-fueled men literally ripped his door off in an attempt to get him out, but his leg was pinned under the wreckage. Fortunately, within four minutes the emergency rescue team arrived. Miracle upon miracle upon miracle was taking place in his life around the corner from our home and we knew nothing about it. 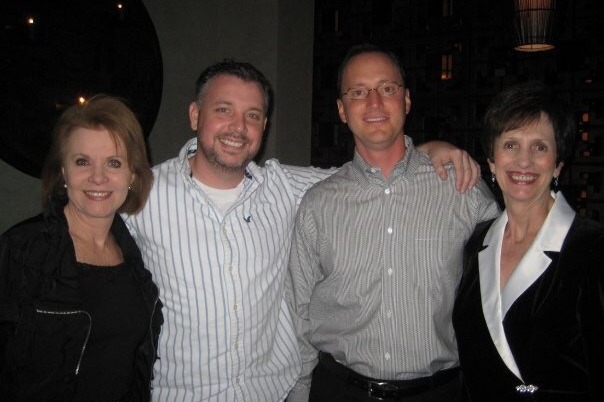 When we received the call 17-18 hours later, Tim drove to Tampa General as fast as possible. During the entire trip I prayed like never before. I prayed for a sign to let me know Andy would live and recover. I knew whatever waited between those two points we could handle. I watched the clouds, I listened to words on the radio and I scanned the landscape, but no sign came. As we sat in the hospital waiting to go into Andy‘s room, I looked to see the time. I always keep my Apple Watch on the date, time and weather setting, but when I lifted my arm, Woody from Toy Story appeared. He twirled around, kicked up his right leg and “ANDY” was written on the bottom of his boot. I had received my sign. More miracles were yet to come. When we saw him for the first time, Andy had already returned from his first surgery. He was under the care of one of the best trauma teams in the nation. The orthopedic surgeon operated on both broken legs, but because the bones in his lower right leg were so shattered all he could do was immobilize them with an external fixator. Plastic surgeons had been called in to care for the burns on both hands and arms as well as his right side. 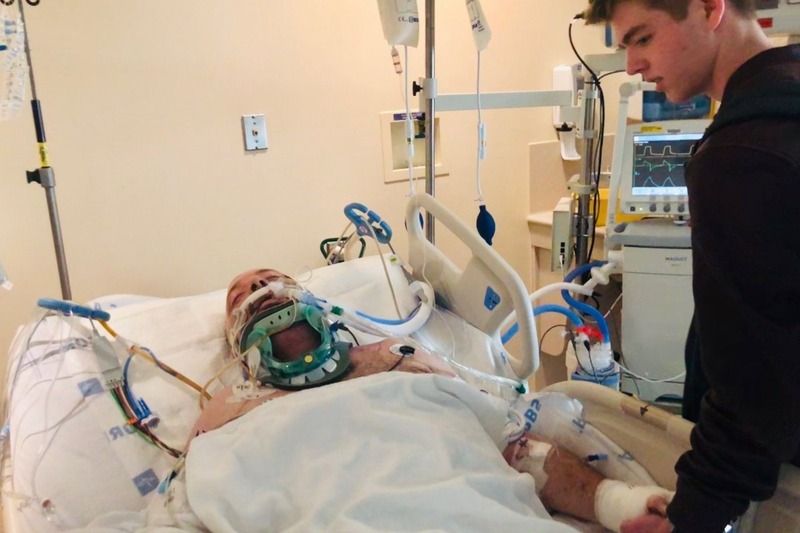 Andy was on a ventilator and his eyes remained closed. Jimmy, Tracey, Mike, Noelle and Cesar all arrived as quickly as possible. Jimmy’s younger son, Nathan, flew in from Washington DC and Matt Manuel, Andy’s best friend since birth, flew in from Houston. Several of our friends came to be with us. We all stood vigil and as the news of Andy’s accident spread, prayer chains formed all over the nation and even in Israel where members of my home church in Fernandina Beach were visiting. My first instinct when I saw Andy was to stroke his hair as a mother often does, but I was not prepared to feel the stiff singed hair that I touched. It made the reality of how close the flames had been to his face fill my body. His having no facial burns that could have left permanent, disfiguring scars was another miracle to me. I think I’m losing count. 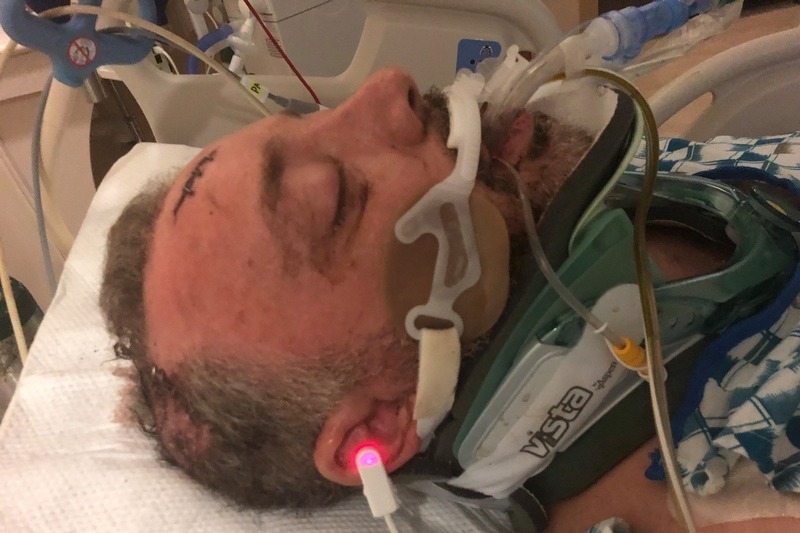 Andy has given permission to share a photo of his current situation that might be difficult for his family and friends to see. The road to recovery will be long and painful, but Andy’s positive spirit and resilience has been beyond measure. 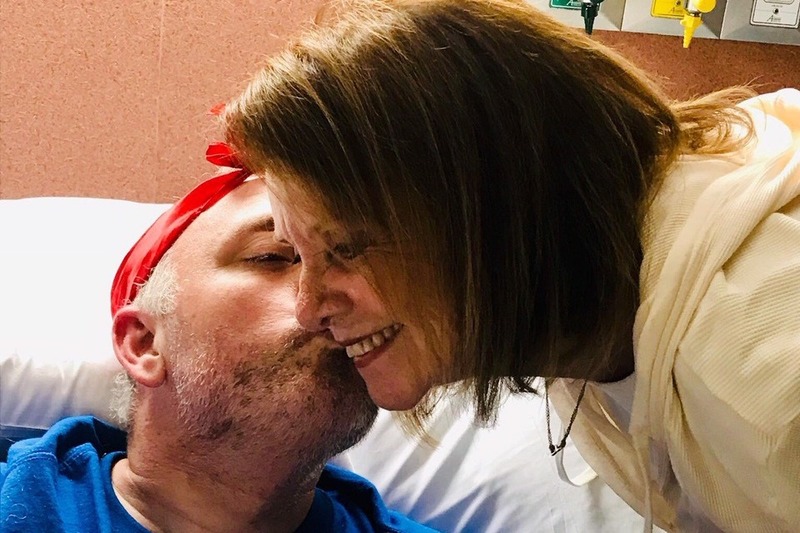 Please continue to keep Andy in your prayers, and please continue to share his story and this GoFundMe page to assist in his medical recovery and rehabilitation as he learns to adjust to his new normal. 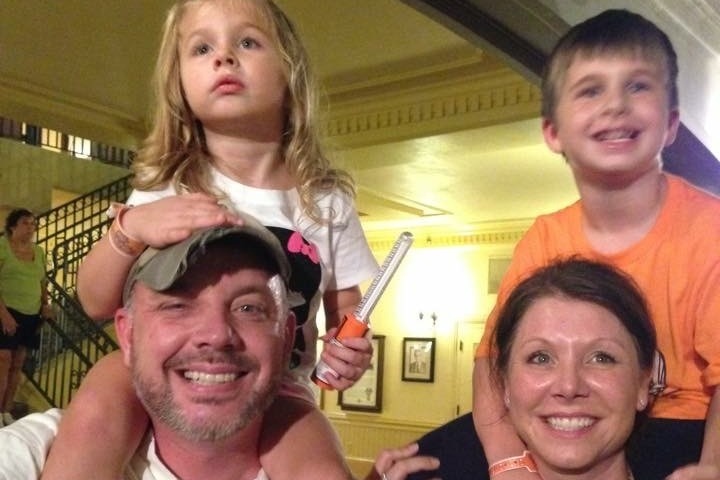 Andy and his family are grateful for all the support, donations, messages, and kind words of encouragement. It has meant the world to them. Today marks the beginning of Andy’s fourth week at TGH. His courage continues to amaze not only me, but also his nurses and friends. By name and definition alone skin grafts sound unbearable, but until this past Tuesday I had never seen someone who had undergone this procedure. When they rolled Andy back into his room, his face expressed as much agony as I have ever seen on a person. His only comment was, “I feel like someone used a blowtorch on my arms.” To say it broke my heart is a drastic understatement and the strength I had been bragging about seemed to drain from my body. His eyes were closed, but for the first time I could see tears at the corners of his eyes. I had to leave the room. It was our hope that Andy would not have to undergo auto-grafting, but the surgeon ended up having to take two large sections of skin from his left thigh. From all reports, the healing from this is one of the most painful parts of skin grafting. Both arms are completely bandaged so he cannot feed himself, but he has found a way to hold his water bottle. He’s adamant that I don’t help him. Today is the third day after surgery. Not sure if it’s only an “old wives’ tale” or not, but I’ve heard the third day is usually the worst. Yesterday he elected to have his PCA pump removed. 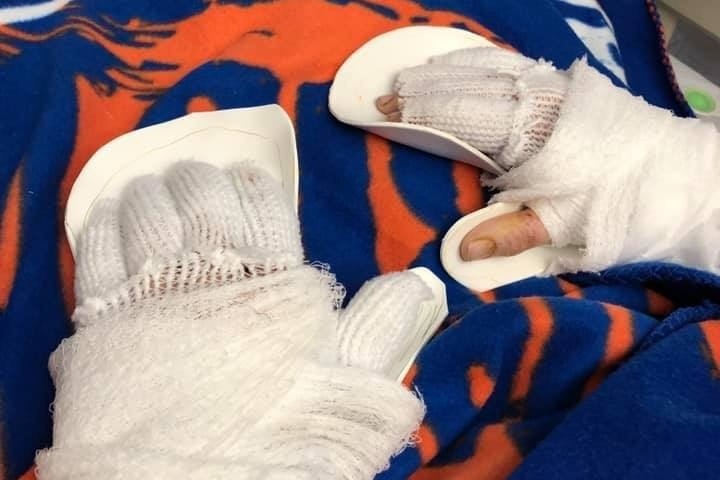 Since he was moved into the burn unit, he has been able to self-administer small does of pain medicine between scheduled doses when the pain worsened. When I got there, he was in a good bit of pain. 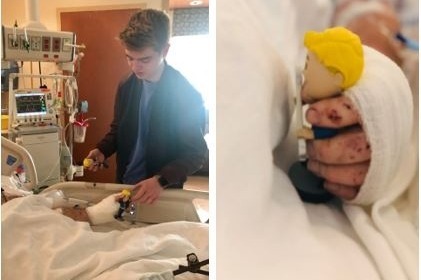 I thought perhaps it was a little too soon to nix the PCA, but he said in order to be discharged he has to be off of it for a certain amount of days. Again, his strength shows through. The social worker has submitted a request for Andy to be transferred to HealthSouth on Hwy. 50. Now we have to wait for BCBS approval and see if HealthSouth has a room for him. Although the doctors and nurses have been absolutely Godsends, I know he is anxious to leave Tampa General and make this giant step toward being able to return home. I spoke with Kathy, the owner of Nature Coast Marina, for the first time yesterday. Emotions took over and words failed me as I tried to thank her for all she, her daughters and the fishermen did to save Andy’s life. Kathy told me she has heard from so many people what a great guy and just downright good person Andy is. Everyone who knows him knows that’s very true.